Just what exactly is a "Pay What You Want" restaurant? If you have a few dollars, your restaurant options are numerous. But if you don't have much, your choices may not be as limited as you think. The "Pay What You Want" restaurant concept is blossoming. This model has become an emerging trend that allows diners to determine the price of a meal. When we think about this concept, images of soup kitchens or holiday serving lines may come to mind. 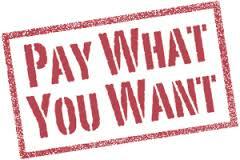 But Pay What You Want has been elevated to a surprising level of sophistication. Think three courses, celebrity chefs and even ingredients like truffles. If you read the previous entry on ETL basics, you may be thinking "Another blog about ETL? Why?" Good question. What's with all the mumbo jumbo surrounding new tech terminology and why do we care? Truth be told, we don't. Chances are, you can probably think of better things to do with your time than research the definitions of ETL and ELT - much less delve into the differences. Jeff Royal, VP of Operations and Product Development at Mirus, explains why ETL matters to you. 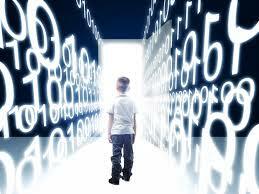 ETL is the heart of Business Intelligence software. It stands for "Extract, Transform, Load" and is a concept that, for most, is shrouded in mystery. But ETL is at the heart of the rapidly evolving tech industry, and just because you don't understand how it works, doesn't mean your restaurants don't or won't eventually depend on it. 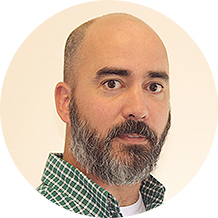 I asked Jeff Royal, VP of Operations and Product Development at Mirus, to demystify ETL a little for those of us who don't fancy ourselves advanced techies. What is the most cruial thing restaurant operators need to know about how their data is being Extracted, Transformed, and Loaded? "The Mirus model allows for operators' data in any format to be loaded and combined. We're data agnostic. Whether it's your POS, drive thru timers, or labor scheduler, we're not brand specific." What's the most exciting thing going on in the world of ETL right now? "The ever increasing sources of information and new technologies like a web-based labor scheduler, customer satisfaction and loyalty programs. Social media is the next big thing." The bottom line: as restaurant operating systems become more diverse and specialized, ETL is increasingly crucial for streamlining data, and providing "one version of the truth". As we continue to spearhead Business Intelligence for restaurants, Mirus remains a step ahead with products that anticipate operators' needs and empower decision makers. 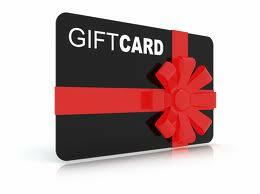 Do you like receiving a gift card in lieu of something more personal? An increasing number of Americans do. The continued popularity of gift cards is on the rise with Starbucks reporting a whopping third of total sales from gift cards in the fourth quarter of 2013. That's $1.4 billion to be exact. With that much profit on the line, the risk gift card fraud poses is greater than ever for retailers and restaurants alike. Suddenly diners don't have to be so sneaky when an inconspicuous card will "dine and dash" for them. Raising the stakes even higher, thieves continue to devise increasingly sophisticated methods to perform a very simple objective : ripping you off. Unfortunately, you don't have to look any further than your own employees when it comes to the majority of gift card theft. There's a lot of talk today about branding and company culture. These are just new terms for an old concept : reputation. Branding and culture are reflections of your company's reputation from the inside out. Market research has gradually become standard operating procedure in the restaurant industry. With so many moving parts involved in the testing process, the journey a new menu item travels from idea to plate has many stops along the way. In the tech industry, we test products all the time. We don't get the perk of taste testing our products, but our developers seem to enjoy the process anyway. The system for testing new technology is sometimes referred to as "beta testing". 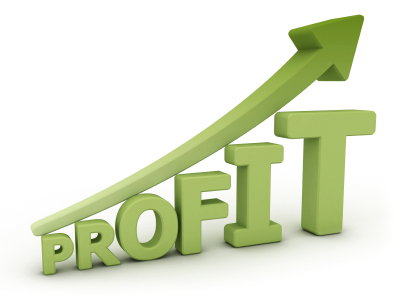 So what exactly does this phrase mean and how does it affect your profit margin? It seems like new business terminology is popping up all of the time (what's a "value-add" or a "paradigm shift" anyway?) but beta testing has actually been around since the 1950s, originating at IBM. It describes a product's "readiness for general availability". Its use has spread to other industries to describe the final stage of market research. Beta tesing is essentially the "soft opening" in restaurant speak. It is the method of testing new items, systems and best practices - and implies an opportunity to measure results before your profit margin is on the line. If you've been to mirus.com lately, chances are you've noticed some major changes. The recently updated website features an enhanced user experience and responsive design that gives everyone the same view on any device they're using. With this post, we will walk you through various parts of the new website and highlight key pages that make it easier to find information. We hope that by the end you will take your own tour of the new mirus.com! We'd love to hear from you - so check out the contact us page to get the conversation started! There’s a lot of buzz surrounding Mirus right now for all the right reasons. Three major changes have taken place so far in 2014 and one in particular is the Mirus Mobile App. Cosmetic changes aside, this new and improved app comes equipped with features and functionality that no other app in the industry has. In an on-the-go world where people rely so heavily on their smartphones for information, version 2.0 now allows users to access their custom reports created on the Mirus Enterprise Report Writer. Any report, any time, now accessible anywhere. If that doesn’t impress you, continue reading to learn about more of the awesome features Mirus 2.0 allows you to do. Customer satisfaction, specifically in the restaurant industry, is a ripple effect that begins as soon as a consumer walks in the door. Whether their experience is positive or negative can be felt by every department in the company. You're essentially one bad review away from having your reputation tainted… scary. Generally speaking, retrieving customer feedback can be tricky. The customary way is via in-store or online surveys. However in this day in age, maintaining a positive reputation can be quite challenging. The Internet can be an asset or liability depending on a customer’s experience at your restaurant. We’ve discussed customer satisfaction in great length throughout the past year but mainly at a high level. For instance, did you know business intelligence software could be your pathway to satisfying customers? If this concept is new to you, click here to continue reading. We’ve also discussed customer satisfaction from a business point of view and the impact it could have on your margins. Business and software aside, customer service is in the hands of your employees. Do they understand the importance of keeping customers satisfied? Here are a few suggestions to make sure they keep customer service top of mind – all the time. In the complex equation of analyzing profit margin for your restaurant(s), there are always new ideas and trends that emerge worth replicating by both finance and operation restaurant executives. So far in the first quarter of 2014, one hot trend is menu engineering. While the basic objective of menu engineering is to become more profitable, some constants (outside of the menu) will always remain – to view them, click here. Finding new ways to maximize the overall profitability of a company, aside from customer satisfaction, is the Holy Grail of the restaurant industry. Especially with the uncertainty surrounding the Affordable Care Act (ACA) and the affects it could potentially have on the bottom line. Fact is, when more money is being made, everybody is happy and more investments can be made into the business. For this post specifically, we’re going to delve into 3 of the top strategies to maximize profitability simply by reengineering your menu offerings on a few products. And, maybe a little upselling of those products along the way.